The Pacsafe Camsafe LS Style Crossbody is a travel bag that is designed for your camera gear. It features Velcro Dividers that enable you to keep your accessories sorted. The bag has room for a 10 inch tablet, slots for your memory card to keep them organised. It also has extra features like internal pockets and attachment points for items such as wallets, keys and other accessories. The bag valuables are secured by slashguard material, zip clips and a loop & lock strap which protects your gear from all kinds of theft. The Pacsafe Camsafe LS Style Crossbody will keep up with any adventure & keep your valuables secured. Strap Length: 41.34" - 62.20"
The Pacsafe Camsafe LS Style Crossbody - Black has many exciting features for users of all types. 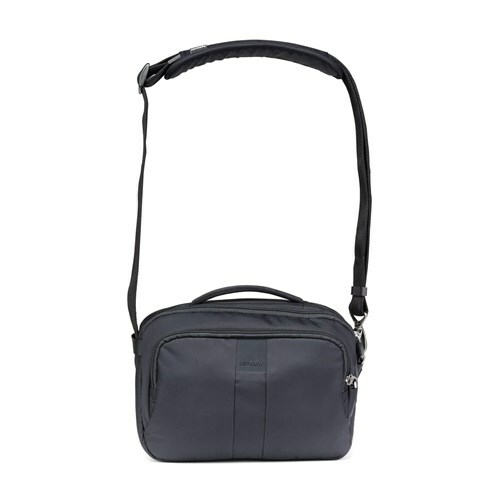 See the Pacsafe Camsafe LS Style Crossbody - Black gallery images above for more product views. 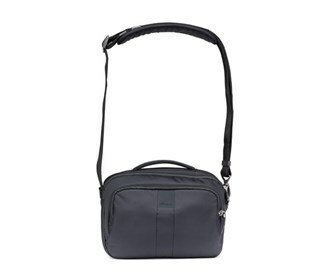 The Pacsafe Camsafe LS Style Crossbody - Black is sold as a Brand New Unopened Item.